What an amazing event to go to and how did these four lucky students get to go? Some time ago our Science Technician, Mrs Terry, put an application into a ballot for tickets for the event along with another 25,000 people from all over the world!! So you can imagine her delight when the letter came to say that she had been successful. 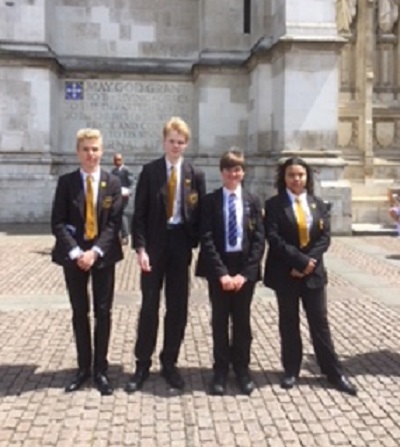 Friday 15th June arrived and with the train tickets booked our four intrepid scientists set off to London with Mrs Terry. With the likes of Benedict Cumberbatch, Tim Peake, Brian Cox, David Walliams and Piers Morgan attending the event they were in very good company. More information from the students to follow when they write up all about their incredible experience.